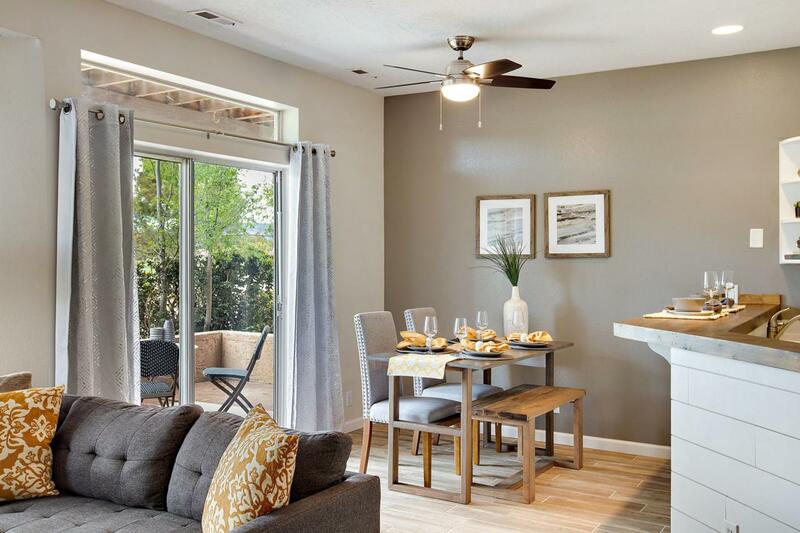 As you enter through the quaint courtyard and open the doors to this Tamarack Gem, you're embraced by elegant new faux wood tile flooring and inviting colors. This is your happy place. Tranquil and light filled, immediately provides a sense of a calm, inspiring atmosphere where you feel as if you're on a peaceful vacation everyday.Enjoy the serenity of the St George sun, under the shade of your large, private, mezzanine, over looking the lush greens of the St George Golf Club course. Tamarack Gem is one of a kind. Located directly across from the clubhouse, pool, and tennis courts. 30 day rentals allowed, buyer and buyers agent to verify all information.